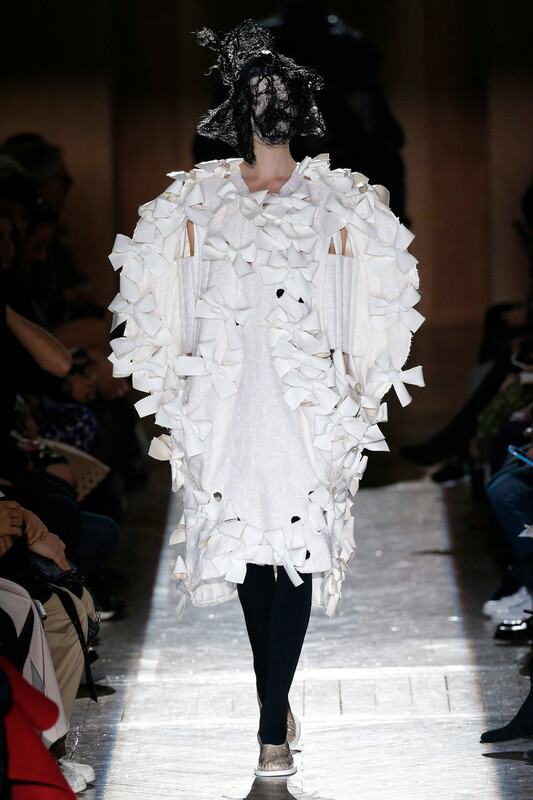 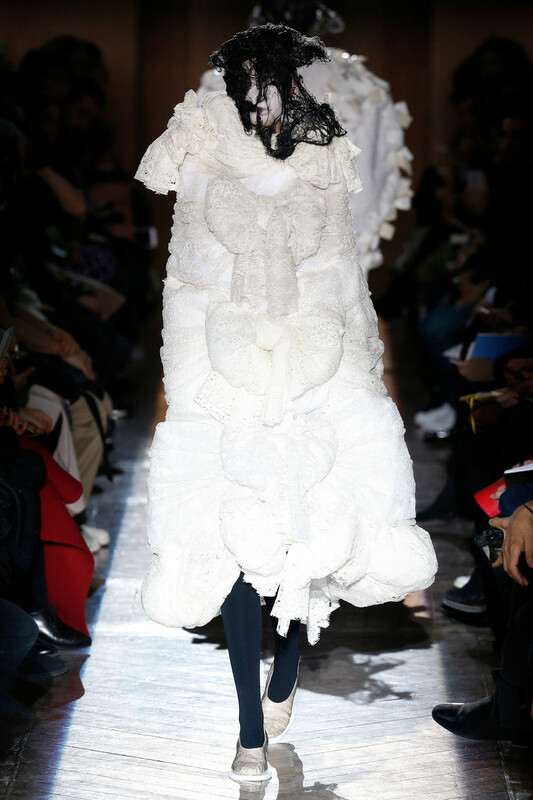 The fall-collection of Comme des Garcons was a mix of elaborate constructions, some soft, some structured, all out there, most in piles, drapes, wraps of laces in whites, blacks, a tinge or two in gold. 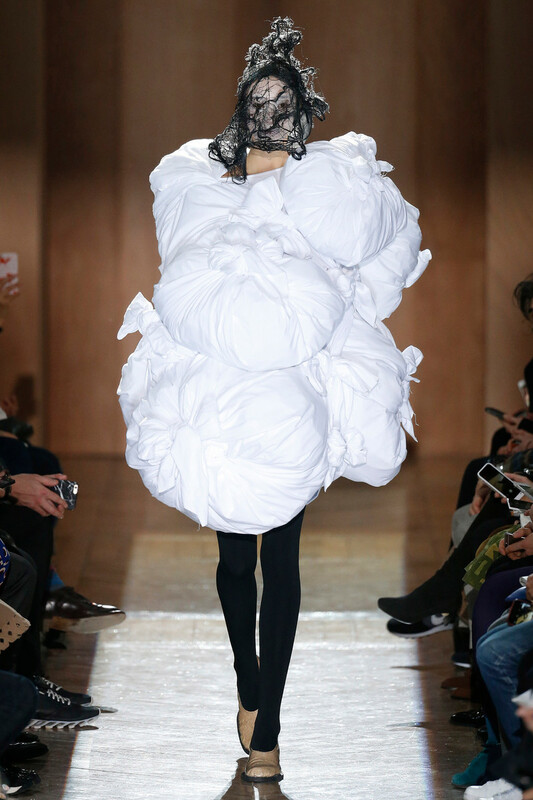 Ridiculous by standard measure — sure; they always are. 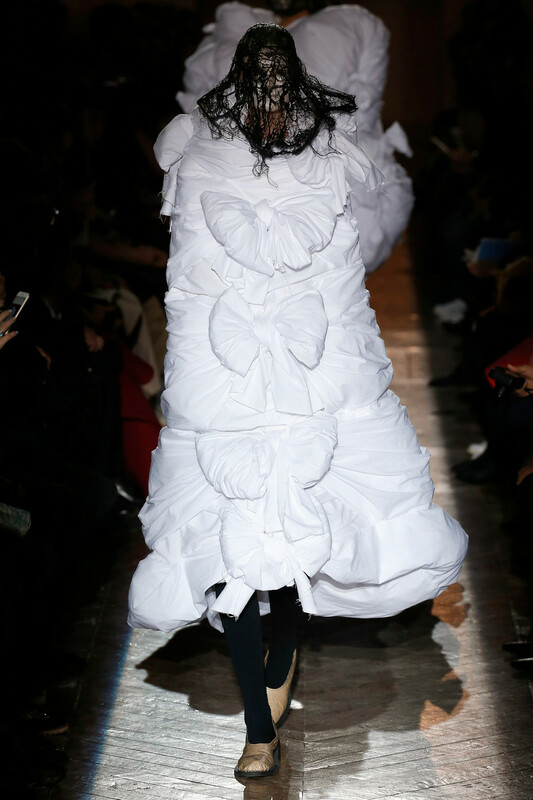 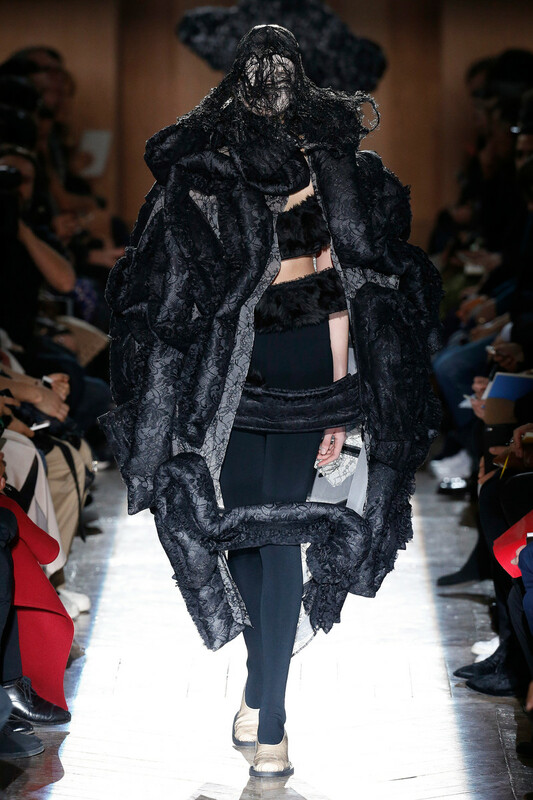 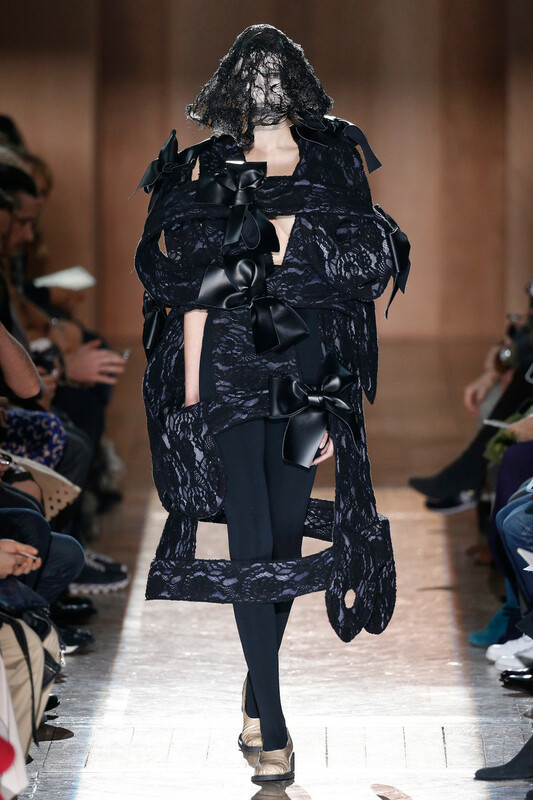 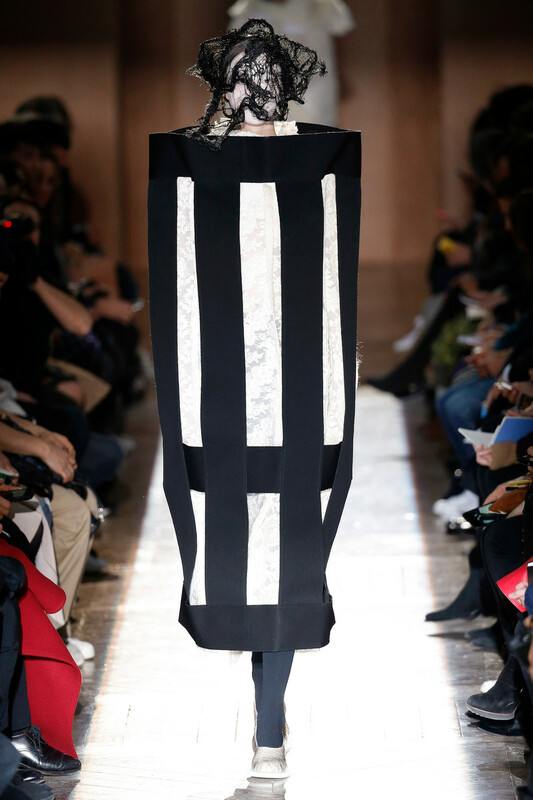 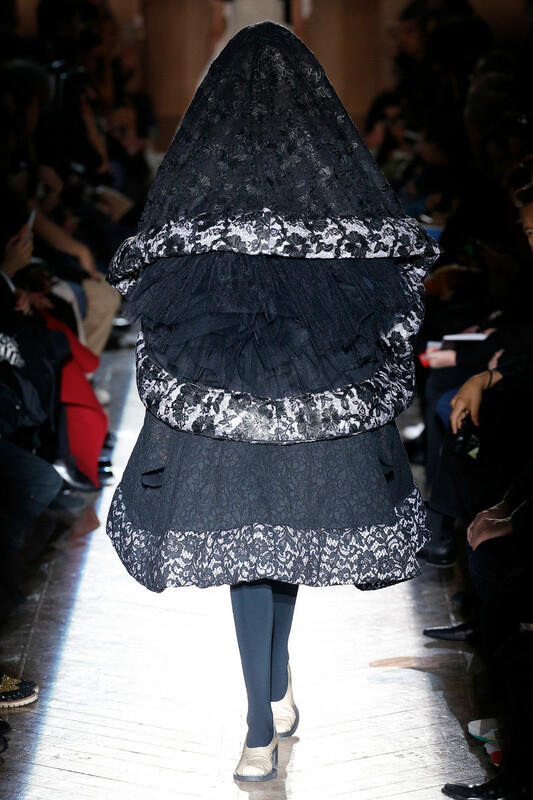 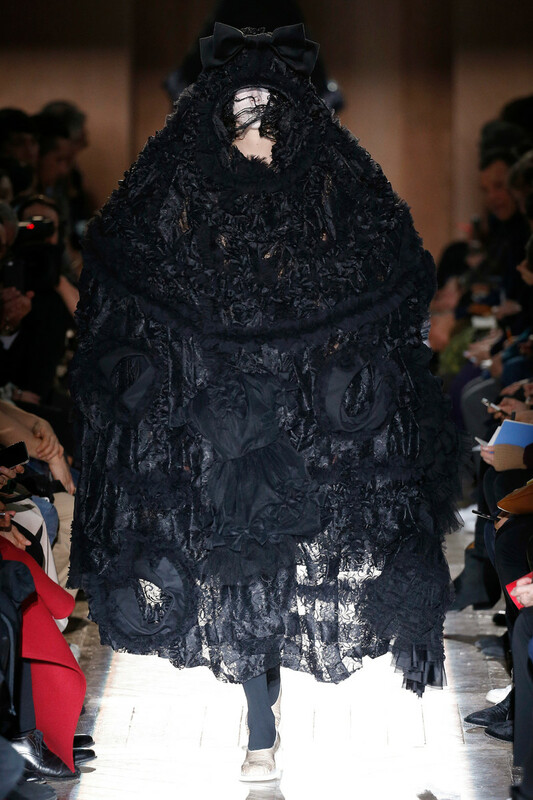 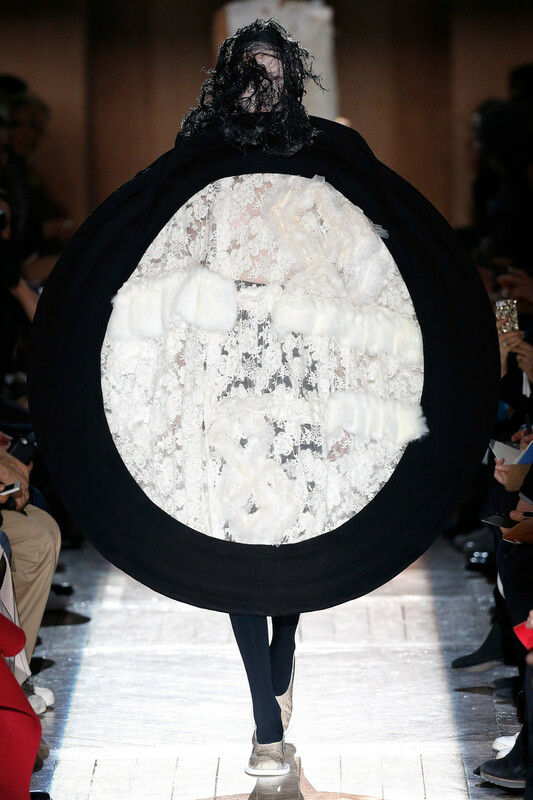 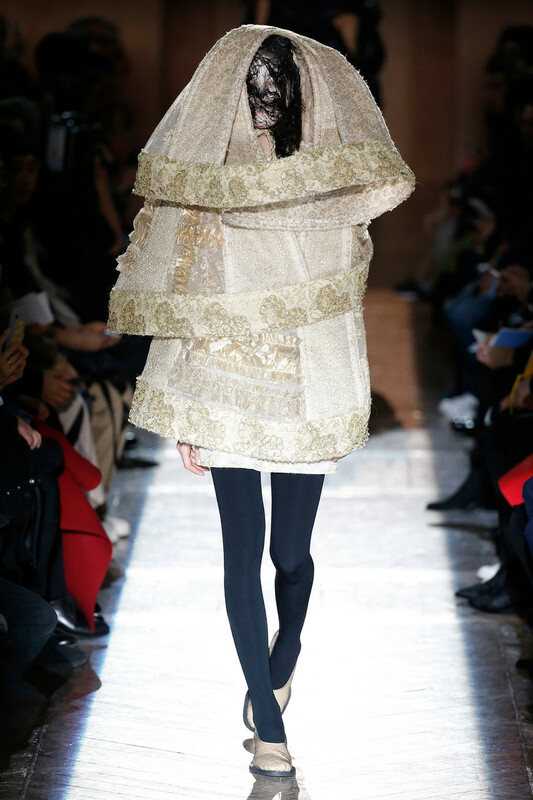 But even on Kawakubo’s lofty scale, a wonderment pervaded this collection. 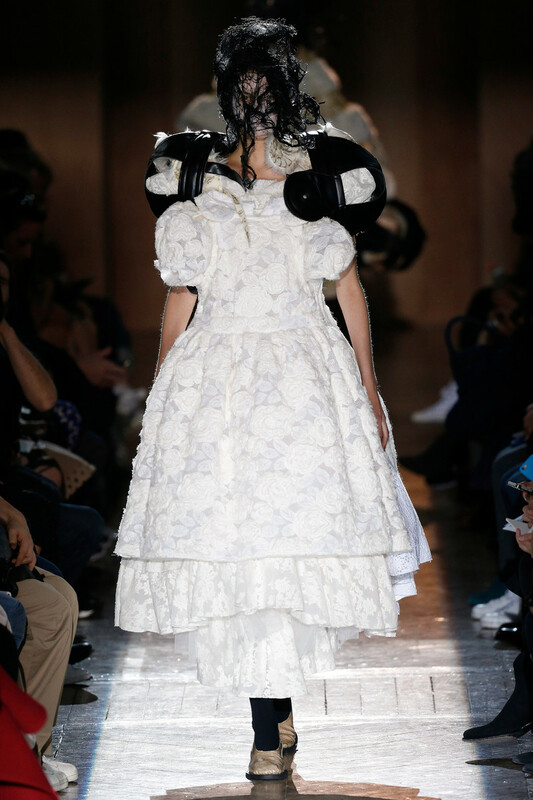 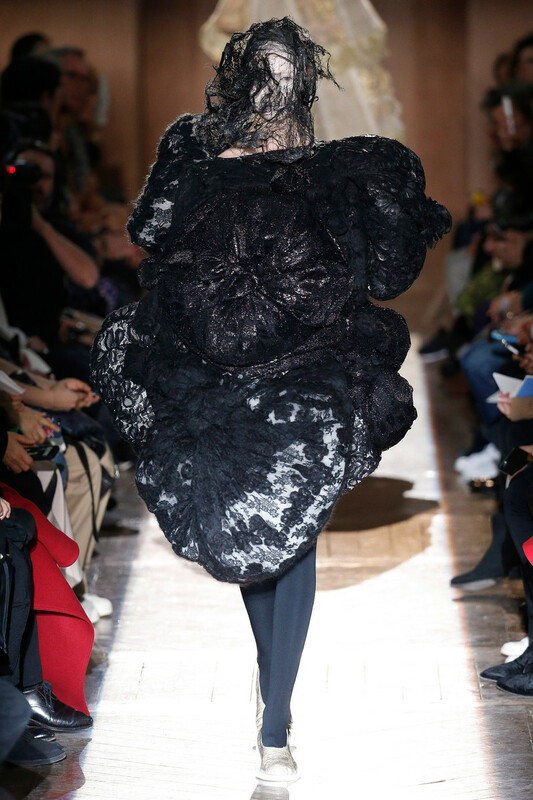 With her every choice, her fabrics, her configurations, the way she instructed her models, their points of connection, Kawakubo determined to make the audience feel the beauty and wistfulness of her strangely personal ceremony of loss and progress.